Ahab and Jezebel were ruling the Kingdom of Israel in wickedness. Not only were they worshiping false Gods, but Jezebel had also commanded all the prophets in the land to be killed. Because of the great iniquity of the people, the Lord caused that there would be no rain, this lasted for three and a half years. Elijah the prophet was commanded by the Lord to dwell by the brook Cheribth, where the Lord told him that He would provided for him and keep him safe from Jezebel who wants him dead. Ravens feed Elijah for many days, but when the brook dries up he is commanded to go to Zarephath where the Lord has prepared a widow woman to sustain him. Jezebel was from this same area, so in sending Elijah to Zarephath God was sending Elijah into Jezebel's territory. It was a trip that was WAY out of his way, but he went because he knew that God had prepared someone to provide for him, and more importantly that there was someone who needed him. After the famine is over her son got sick and died but was brought back to life by Elijah. Maybe she was gathering sticks at the gate of the city because she was too weak from starvation to go much further. This story bears testimony to me that God knows and loves each one of his daughters, because it is obvious in this story that God is VERY aware of this widow and her needs. Elijah had to travel way out of his way to get to this woman. Zarephath was in the opposite direction from where he was. Yet, she was important enough to God that he commanded Elijah to go to her. One can only imagine what her prayers must have been. Perhaps she had been praying for a miracle and for deliverance. I bet she didn't think her prayers would be answered like they were. 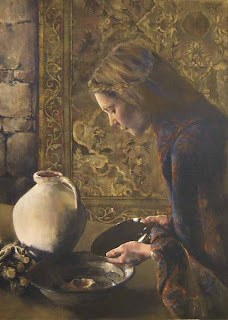 It is important to know that she did not know who Elijah was, and she did not know that there would be more meal and oil left over after she had fed him. She gave ALL she had and put her trust in the Lord. She went to the very edge of her faith, and God caught her and sustained her by his hand. Often times God asks us to go to the very end of our limits, the bottom of our barrel, calling upon all our resources before he provides deliverance. He asks us to sacrifice ALL that was have, in order to gain much greater blessings. In verse 9 the The Lord tells Elijah that He has commanded a widow woman to sustain him. How long had the Lord been preparing this woman? How long has she known in her heart what would be asked of her? It is a beautiful testament to her character that she was able to receive revelation from the Lord and was obedient to it, even in the hardest of circumstances. After all that this woman goes through, her son gets sick and dies (vs.17). This seems to be more than she can bear and she reaches her breaking point. 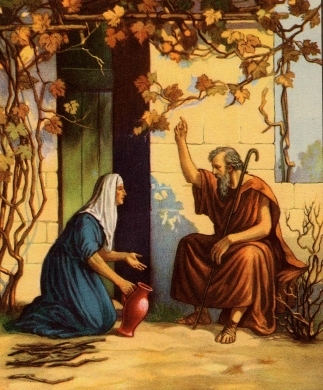 She exclaims to Elijah " What have I to do with thee, O thou man of God? art thou come unto me to call my sin to remembrance, and to slay my son?" Even though she had witnessed a miracle, and had been fed by the hand of the Lord, she still had her moment of weakness and doubt. Despite her faith, she feels like God as forsaken her and is punishing her. Even Elijah asks God "hast thou also brought evil upon the widow with whom I sojourn, by slaying her son? " After much pleading Elijah is able to bring her son back to life. As he hands the living child back over to his mother she remembers her faith and the mercy of the Lord and cries " Now by this I know that thou art a man of God, and that the word of the Lord in thy mouth is truth. " God does not leave her alone, once again he hears her prayers and provides deliverance. Even when she thinks he has forsaken her and there is no hope. Every day we are dependent on God for our lives. Whether we recognize it or not God sends us manna from heaven each day we are alive. We live by faith. God does not leave us alone. He hears our prayers, and he answers them. Often in ways that we never imagined. We can receive personal revelation from the Lord. When we are obedient he works miracles through us. "If we allow Him, God will take us to that place where there is no one else to help us but Him"
How old do you think she was? How old do you see her son being? What made her faith extraordinary? Why does God ask us to sacrifice? How is this woman similar to you and experiences you have had in your life? Are you willing to sacrifice EVERYTHING for Jesus Christ? This is a great blog! What a great idea! 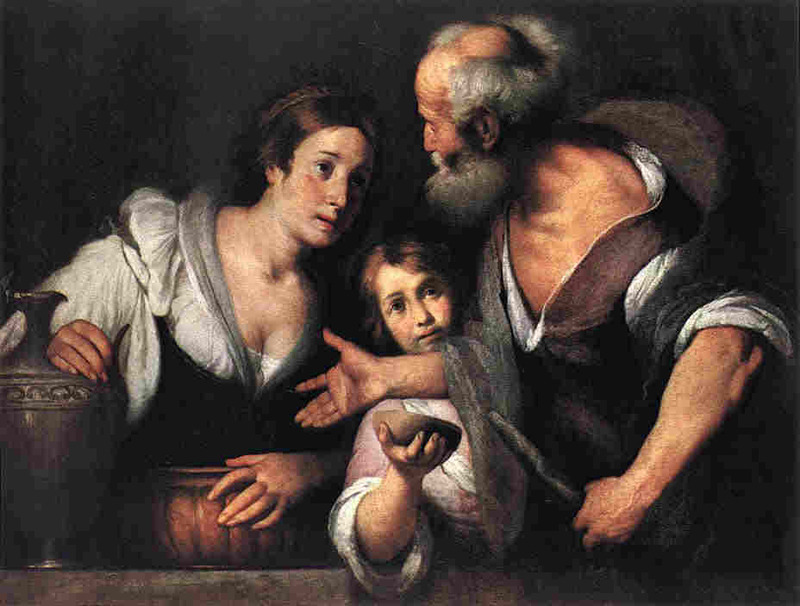 Heather, I remember a neat comment from conference years ago about the story of Elijah and the Widow of Zarephath. The speaker commented on how some people might misconstrue Elijah's request and criticize him for asking for the widow's food when he knew it was all she had. However, the speaker brought out a good point about how the Lord works: he asks hard stuff of us--then he blesses us when we obey. Elijah may not have wanted to ask such a hard thing of the widow; however, he knew the Lord wanted him to and so he did. They both had to have faith that the Lord would bless them, and He did. Also, this story makes me wonder how many other stories like this one happen all the time with prophets; especially the current one Pres. Monson. How many untold stories are there of the Lord's spokesman blessing the life of the individual? It's worth reading to see the great perspective he has on it and to learn another way how the Lord works. This brings to my mind the recent CES fireside by Elder Holland. He spoke on Joseph Smith's time in Liberty Jail. I hope we are not too hard on the widow when her son dies and she begins to doubt. Both Joseph Smith and the Savior cried to the Father when feeling alone and forsaken. I think it is great evidence of her faith that the Lord would give her the one trial she would not think she could bear and then He blessed her for that faith. This is a great story ") I have been sustained by it. It is a keypin in my personal faith and my ability to gain resilience, courage and solace in adversity. Thanks for this wonderful idea about the widow of zarephath.